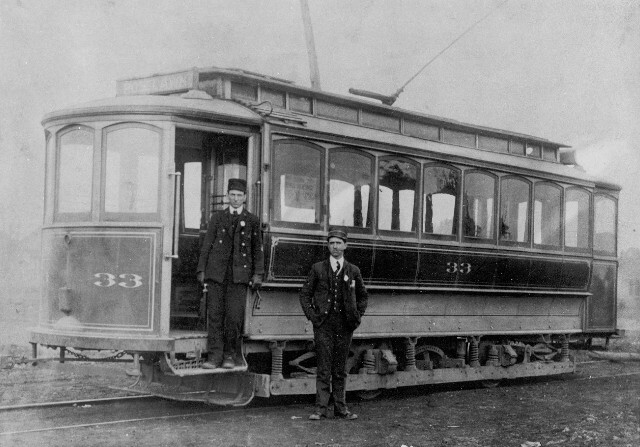 Car 33 is on the Roselawn line. The motorman is on the vestibule step holding his control handles, and the conductor to our right. 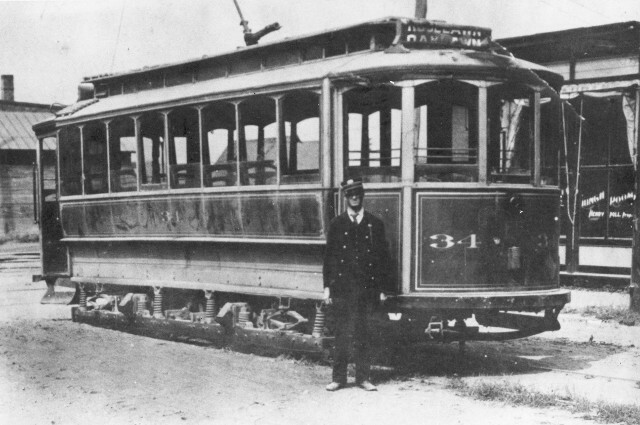 The route sign of car 34 is half-way between Oaklawn and Roselawn, with only a single crewman in sight. Note how the window sashes lower into pockets in the car sides.